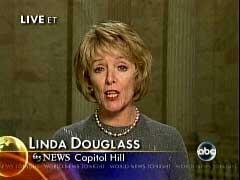 Completing a full spin through the revolving door, Linda Douglass, a long-time CBS and ABC correspondent before jumping aboard the Obama campaign in 2008 – followed by HHS and White House positions promoting ObamaCare -- has re-joined The Atlantic as a Vice President who “will concentrate on company strategy and communications,” the Washington Post’s Howard Kurtz reported online Thursday morning. 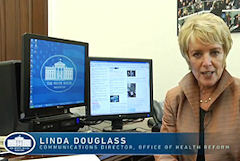 Before joining the Obama campaign as senior strategist and senior campaign spokesperson on the road, Douglass toiled for National Journal, part of Atlantic Media which also owns The Hotline. Her first stint in the new administration was as Assistant Secretary for Public Affairs at the Department of Health and Human Services, followed by Communications Director for the White House’s Health Reform Office, a slot she left in April. > My complete list of Obama-news media revolvers, updated just a few days ago, which now stands at 15.